It’s not often that someone with a background in religion and philosophy and determined to expose the dark side of capitalism becomes an innovator in the ETF industry. But that is the story of Mike Venuto, who “fell in love” with Wall Street. He soon realized, however, that the old market of hedge funds was changing, and he would have to change with it, including several years where he “struggled” to build his own ETF strategist and research company. Venuto, co-founder of Toroso Investments and the world’s first TETF Index, which replicates the performance of companies that make money from ETFs, talks about his career, standing out from the crowd and how the market discerns between gambling fads and genuine innovation. Jobs in ETFs: How did you get involved with finance and ETFs? Mike: My background is in philosophy and religion and I thought I’d write a critique about the world of finance, so I took an internship at the New York Stock Exchange 20 years ago. I went in with 40 other people and within two weeks there was 10 of us left. I fell in love with that world and realized it was more of a meritocracy than some capitalistic disaster that I naively thought it was. From there, I went to First Union and became a broker, then got offered a job at a boutique hedge fund, where we grew from a couple hundred million to close to $40 billion. It was an amazing education and I learned very quickly that asset management is one of the few careers where you’re aligned with your client. With most other industries, you’re trying to sell a product for the highest fee, but with asset management, your fee goes up or down as your client’s value rises or falls. I got involved in ETFs in 2005 when I was at Horizon, the asset management company. Our biggest position then was in a gold mining stock called Newmont Mining. We watched as it went down – as gold was going up. Our chairman realized the performance divergence was due to State Street having launched GLD, the gold ETF, and people could now get direct exposure to gold. The democratization and move towards ETFs was going to affect the valuation of stocks. And as stock pickers, we had to quickly understand this and how it would change the world of investing. As a smaller company, that became one of my jobs. JE: How did you go about that process of learning and changing the business? Mike: We decided to educate ourselves by becoming angel investors. An example was Emerging Global Advisors, which was recently sold to Columbia Threadneedle. We helped incubate that company and watched as they went through the process of index licensing, marketing and all that fun stuff. We also became very involved with WisdomTree: at one point we owned 10% of the equity when it was still on the pink sheets. By early 2012 I was overseeing a private client group where we used ETFs to round out our exposure to individual stocks. 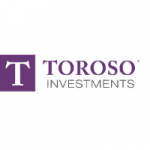 I then chose to leave and start my firm called Toroso Investments, focusing on ETF research. JE: Who taught you the most about ETFs? Mike: The best education I got was from Bob Holderith – at the time he was head of sales at ProShares – and in 2008 we reached out to them about their double short ETFs as we wanted to protect our stock holdings. We went into a room with Bob. It was like an episode of Law & Order, with bright lights and us asking a million questions. After five or six hours, we head learned all about creation and redemption and that these funds were spectacular trading vehicles, but not useful as a buy and hold investment. We came out of that room deciding not to buy those double short funds, but we were in love with Bob and had discovered a great resource for learning. We also learned by building indexes at Horizon. None of them became ETFs, but it was a process of learning by doing. JE: At almost $4 trillion, where do you think ETF growth is coming from? Mike: To me, the ETF industry is growing because of innovation, so you must work with people who understand the structure and value of those funds and find others with intellectual property or intelligent ways of looking at things differently. That is how growth continues and the only reason our company continues to grow. Our latest innovation was TETF index. My partner Guillermo Trias and I made money owning ETF companies but your average investor couldn’t do that. On 20 April, we helped ETC launch an ETF of the ETF industry. Like a private equity group, we didn’t buy the obvious names: we bought companies making money from ETFs. The greatest example is Vanguard. You can’t buy it but there are 13 companies in our index making money from Vanguard’s growth. The fund is a culmination of 15 years’ research. JE: Can you tell us more about your TETF index committee and why it’s important? Mike: Yes. People say that ETFs are passive, but an enormous amount of active research goes into it. To do that research we built an index committee of the biggest ETF experts. In addition to Guillermo and myself, we have Burton Malkiel, one of the first people to talk about indexing as an investment in his book A Random Walk Down Wall Street. There is also Kris Monaco, who was an angel investor in HACK and other blockbuster ETFs, and Linda Zhang, former lead portfolio manager at Windhaven and co-founder of Women in ETFs, as well as entrepreneurs Kevin Carter and Scott Martin. The TETF Index Committee figures out which companies have exposure to ETFs and how to rank them in the index. We sit down with those folks twice a year to evaluate and ratify all the continuous research we do in the industry. JE: Even with innovation, do you think ETFs will continue to grow at the same rate? Mike: I do think ETF annual growth of 19% will slow down a bit but that’s a couple years off. I constantly hear that ETFs are destroying mutual funds and that’s where the growth is coming from. I don’t buy that. More mutual funds launched in 2017 than ETFs. I do believe ETFs have destroyed hedge funds, and hedge funds use more ETFs than stocks at this point. I believe a lot of hedge fund ideas are going to mutual funds and mutual fund ideas will transition to ETFs. In my view, innovation is coming from four places. One is ESG evolution. In the US about 30% of institutional money has some ESG tilt to it and less than 1% of retail money has that tilt. ETFs are one way you close that gap. Another is smart beta concepts and using non-traditional financial data. For example, we recently helped a company called Brandometry build an index of companies worthy of investment based on a ratio of brand value over financial value and systematically acquiring them. The third factor is probably the biggest growth innovation in terms of impact and that’s structures. Someone will figure out how to get bitcoin or realized volatility into an ETF – I mean any kind of concept that institutional hedge funds used to create alpha. These ETFs don’t exist today but it will happen. The fourth is active ETFs. There is a misconception that secondary market volume matters so much. Most people want to see performance before they buy a fund. But if they see an active ETF with three years’ performance and no volume they don’t want to buy it; they’d rather see 20,000 shares per day. They will have to get over that. You shouldn’t want too much volume as if people are buying and selling it, that doesn’t make any sense for a buy and hold active investment. And if they’re just constantly buying then too many people are crowding that trade and probably reducing potential alpha. JE: But surely liquidity is still important even in active ETFs? Mike: Liquidity comes from the underlying securities. Look at minimum volatility. A couple years ago, everyone buys min vol and it creates valuation bubbles and it all collapsed at the same time. The same thing will happen in active ETFs if you just have buyers. Remember, with active ETFs, you’re not buying an exposure, you’re buying a strategy. I do think active ETFs will succeed but we need to stop thinking about secondary market volume. JE: The regulator will also have to come on board with innovation for it to succeed. The SEC still hasn’t approved bitcoin ETFs, for example. Mike: The regulator made it extremely clear why they didn’t approve bitcoin so somebody will have to create a structure that the regulator approves of, and somebody will. I wouldn’t be surprised if 20 people are working on it right now. JE: Does that include you? Mike: It’s not me! but we are working on many other innovative exposures and indexes. JE: What advice would you give to people starting out in the ETF industry today? Mike: Coming into the industry today, you’re changing the world. You don’t come out with your MBA and start on a $150k job. It’s a world where you must show you’re adding value, that’s the only way you can charge for your services or products. When it was 2 and 20 fees everyone made a lot of money but now it’s about being truly aligned with your client. I’d start in operations. My English professor in college taught me that, just like the post-modern authors, you can’t break the rules until you master how the system works before trying to innovate. The best place to master the rules are the larger companies, the Blackrocks and Vanguards. Having an education there is very helpful. JE: How do you stand out at a larger company? Mike: By listening more than contributing in the beginning. I started at Horizon at 22 years old and before I started trying to do anything, I read every piece of research they had. Being quiet and learning for the first year or two, you learn how to contribute and not make a fool of yourself. I don’t advise being aggressive on day one. Learn and absorb, be a sponge, soak in as much water as you can and then try to make a difference. If you have another skill you can apply e.g. from another industry or your education, that is useful too. 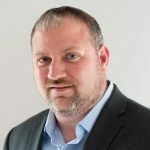 We recently hired someone with no ETF experience but who helped build an internet marketing company and he innovates the way we can market ourselves and get information. The greatest advice I can give is put your ego in your pocket, don’t be rash, and remember that everything takes longer than you think it will. JE: What trends do you foresee in the industry? Mike: We’ve seen in Europe that there are ways to take investment opinions on events, say, on political elections or weather events, almost to the degree of what we perceive in the US as gambling. That’s a dangerous, slippery slope and I’m glad we have intelligent regulators even if there are merits to some of these ideas. Take a fund that bets on sporting events. That might seem like gambling. But what happens if that sporting event has something to do with other elements of the economy? That could be an investment. That line will continue to get muddled and more and more concepts will be open to investment than people could possibly fathom today. 30 years ago, we couldn’t invest in emerging markets. 12 years ago, we couldn’t invest in gold through an investment account. So, what I’m saying sounds a little crazy, but it might not in a few years’ time. JE: So how do you think investors can discern between that “dangerous slope” and a genuine investment? Mike: The market does that for us. Lots of funds open and many of them close again. That’s healthy. That’s the market letting us know what people accept. On top of that, the regulator says no to some things. I am not a fan of non-transparent ETFs, and I’m glad the regulators thought it through and said no – opacity contradicts the whole purpose of the ETF structure. In the meantime, people continue to innovate. JE: How did you start your company and what gap did it fill? Mike: We started Toroso in 2012: we’ve just passed the five-year mark. I thought, let’s create an innovative research company and use that to create separately managed accounts (SMAs) and sell them. It made a lot of sense. But in 2013 the F Squared debacle happened [fund issuer fined $35 million for faking performance records of its products]. Good Harbor, the second largest ETF strategist, blew up [it lost $4.9 billion by the end of 2015]. And Windhaven Investments was changing to Schwab. The world had temporarily lost its appetite for SMAs of ETFs, so we struggled along for the first couple of years. The market changed and we had to change our company, but not the IP. We are still an ETF research company and we live and breathe that research, but now we use it to consult. We are one of top ETF consultants in the world, using software and research to help issuers like Global X and O’Shares and Direxion, helping companies bring new ETFs to market and provide a very in-depth, research-intensive process to make that happen. That research is also manifested in the TETF index. If the market is telling you the world is changing, you have to accept it. That doesn’t mean your original IP was incorrect, it means how you were trying to package and sell it was incorrect. The consulting business has given us time for other parts of our company to mature. Now we can revisit the idea of providing world class SMAs and we have the data to back up the value of our research.